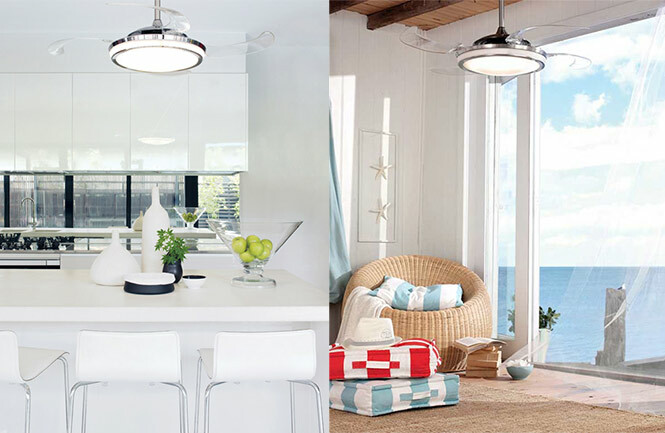 I have seen interior designers cringe at the mention of the term ‘ceiling fan’. Majority of designers despise them for a reason. 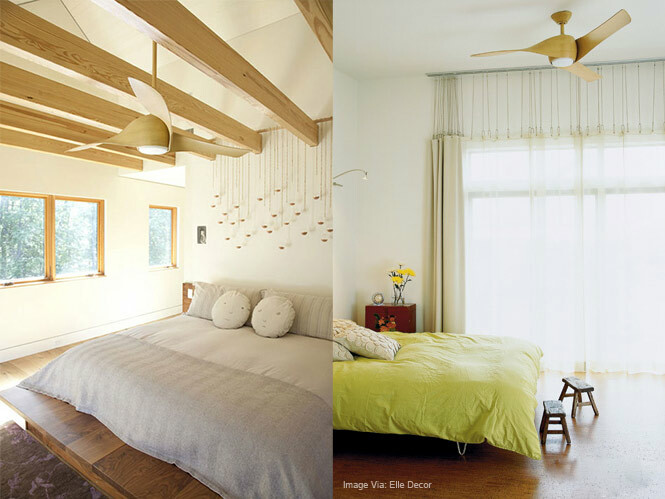 They believe that ceiling fans(at least the usual ones) severely compromise the aesthetics of a room and act somewhat as a sour spot. Having looked at creative options myself I got to say I tend to side with them. 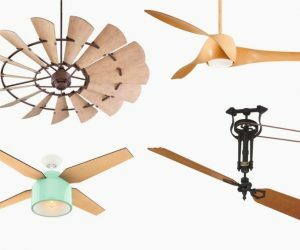 There are hardly a dozen fans out there that any ‘designer’ would be comfortable living with. Maybe this is an opportunity. Any entrepreneurs listening in? 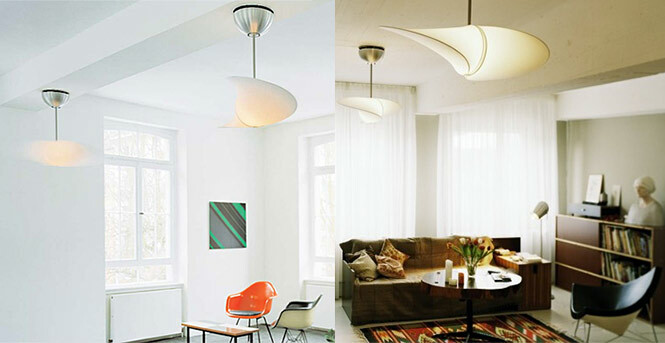 Anyways we have decided to feature the top ones we came across in our quest for unique ceiling fans. Like we said, they are tough to come by and not surprisingly, most are even tougher on the wallet. 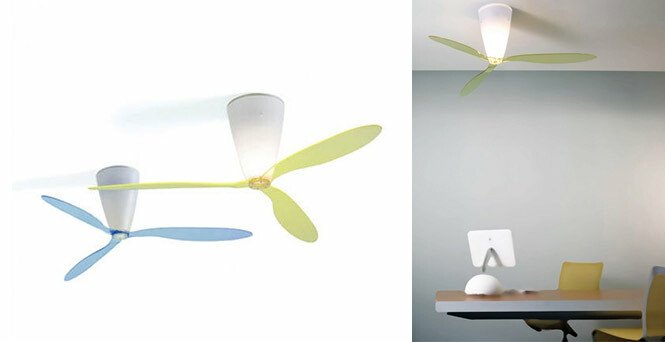 This fan also comes with translucent leaves. You can buy this here. 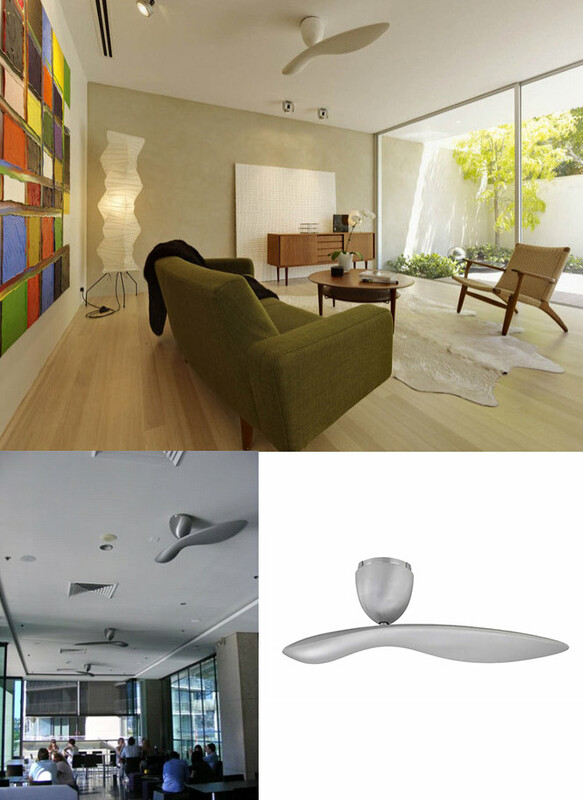 Inspired by the beauty of a falling Sycamore tree seed pod, this fan offers efficiency with no sacrifice in aesthetics. You can buy it here. It derives its ethereal form from the manner of its construction: Fabric is quite simply placed over a thin spring wire. In this way room for a bulb is created in the corpus. In line with its delicate frame the light is very soft and gentle. 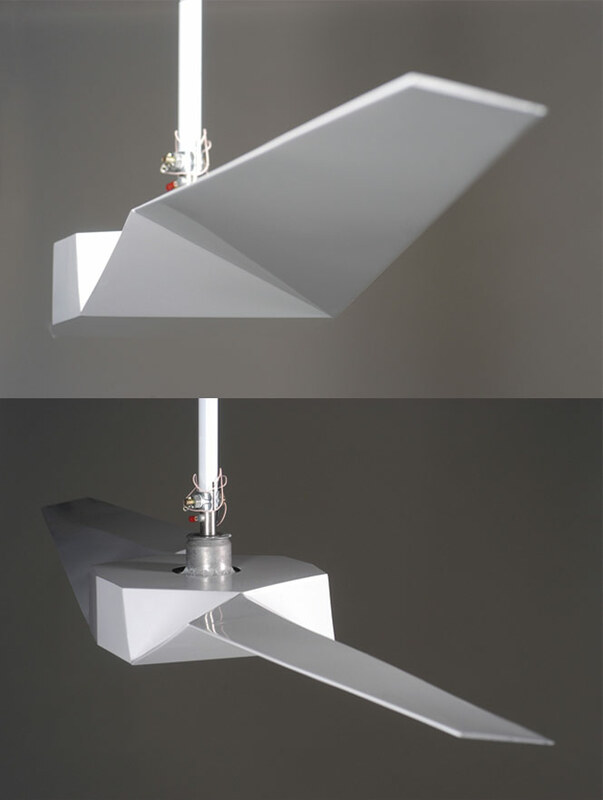 As a fan the design functions extremely well in dispelling air. The number of revolutions and the light are regulated by remote control. 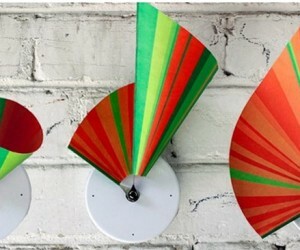 What is unique about this particular fan is that it has retractable blades that extend out only after the fan has attained a certain minimum speed. You can buy it here. 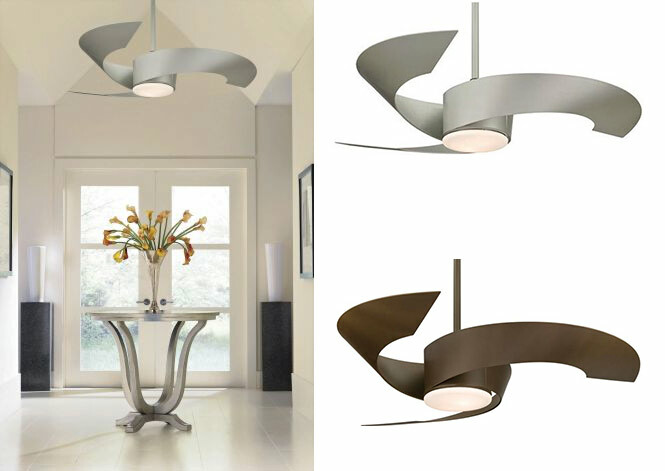 Similar in concept to the Fanaway Fan, but instead of retractable blades, the Fiore fan uses petal like blades that open up to reveal a lamp. Watch this video to get an idea of its operation. Short on blades? Maybe. Short on style? No. Bonus: Remote controlled halogen lamps included. You can buy it here. 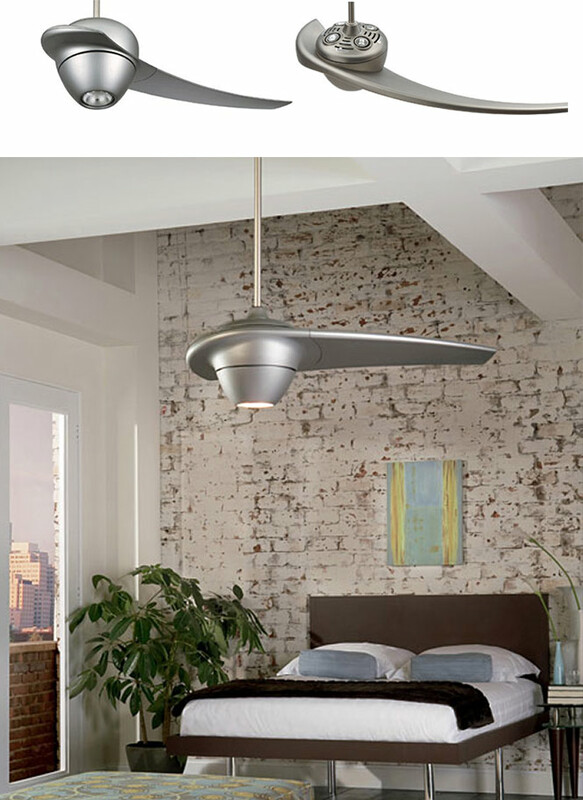 As this is very much a post on unconventional ceiling fans there is no way we can ignore the Centaurus Fan from Fanimation. 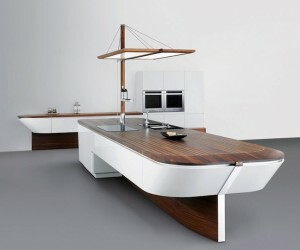 Okay, this is just a concept but we believe this group project by three designers – Joanita, Johannes Marmon and Martin Sprekelsen – is very much in line with our tastes. :) They used Origami technique to shape this bird like structure off a single aluminium sheet.